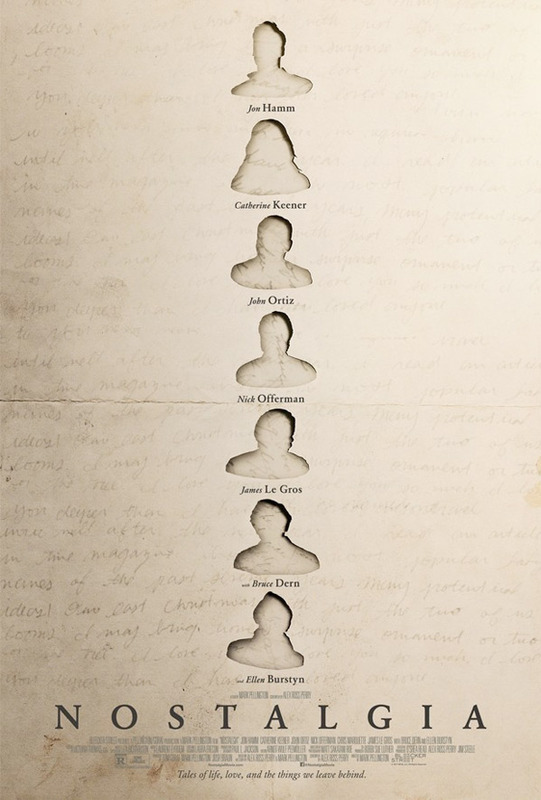 "We live our lives and ask - what do we leave behind" Bleecker Street has debuted a trailer for a film titled Nostalgia, which questions our attachment to various possessions and objects that shape our lives. Even though the word "nostalgia" is often discussed in this industry more as something Hollywood is capitalizing on to make more movies based on characters from our youth, this film is all about letting go and moving on from these attachments. Nostalgia is directed by Mark Pellington and is described as a "mosaic of stories" with a cast featuring Ellen Burstyn, Jon Hamm, Catherine Keener, Bruce Dern, John Ortiz, Nick Offerman, Amber Tamblyn, Annalise Basso, and James Le Gros. This actually looks really good, I'm curious about it. Burstyn's voiceover sounds like it's from the Cloud Atlas trailer, and that got my attention. A mosaic of stories about love and loss, Nostalgia explores our relationships to the objects, artifacts, and memories that shape our lives. Nostalgia is directed by acclaimed American filmmaker Mark Pellington, who started his career making music videos before going on to direct the films Going All the Way, Arlington Road, The Mothman Prophecies, Henry Poole Is Here, I Melt with You, and The Last Word. The screenplay is written by Alex Ross Perry; from a story conceived by Mark Pellington and Alex Ross Perry. This will premiere at the Palm Springs Film Festival this week. Bleecker Street Media will then release Pellington's Nostalgia in select theaters starting February 16th, 2018 this winter. So who's interested in seeing this?